You may think that having a conversation within a podcasting capacity takes little to no effort – just click on the mic, and you’re away. It may come as a surprise that this couldn’t be further from reality. 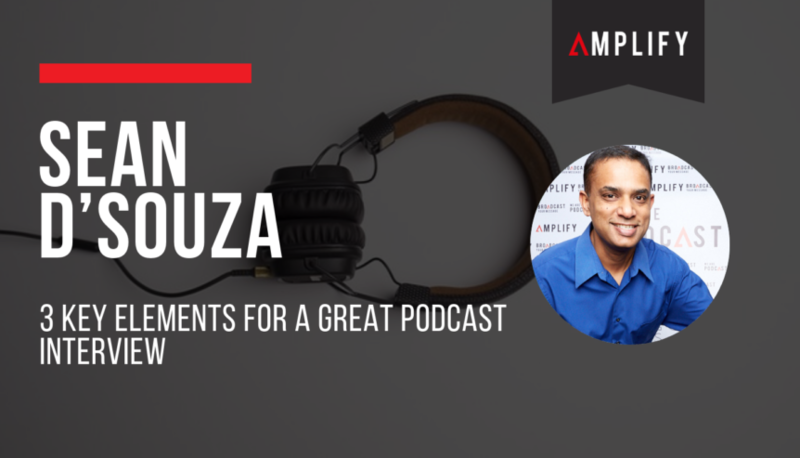 On a recent episode of Bond Appetit, I had the opportunity to speak with a Sean D’Souza. Sean is a multifaceted entrepreneur, thought leader, cartoonist, author and podcast host. As someone who has been on both sides of the mic, I was interested in gaining his insight into what makes for a good interview. Being unprepared prior to an interview is a podcasting no-no in Sean’s books. It’s unprofessional, and can be obvious to your guest. As someone who has been interviewed multiple times himself, interviews with no preparation have left him flat, distracted or even frustrated – something he later has to remedy by taking a nap or indulging in a YouTube binge. This is why research is so important. Taking the time to gather as much information as you can on your guest, means that the questions you ask will be of a higher quality. Not only that, you may come across previous interviews that could give you some insight into how they will respond to particular questions. Sean notices through the investigation stage how often his guests will have the same set of parroted answers during interviews. By avoiding generic questions, and replacing them with more well-informed ones, you’re going to get a dynamic that wasn’t achieved before. Planning and structure may not seem like they belong in a podcast conversation, but I’m sure we can all recognise that a friendly tête-à-tête doesn’t typically run a straight course. To avoid veering into alternative, unplanned directions having a structure can give you the option of pulling the conversation back on task, whilst not diminishing the feeling of informality or spontaneity. Sean feels that a good interviewer should envisage what they want from the conversation. Be clear about the outcome you plan to get from the interview, you could even outline six things that you would like to cover. If the discussion should stray in another direction, you can then pull it back into line. Sean has a problem with nothingness in podcasting, and by that, he means seven minute long introductions and unnecessary chatter. As it would turn out, his peers feel the same way. His time is precious, and so is ours so filtering out the fluff is a good way to go. Keep the conversations concise and interesting. Again, this point ties in with implementing structure. If there is messiness and a continuing lack of definition within your podcast, you may be at a point of losing potential listeners. Preparing for interviews is important. It shows high levels of professionalism, and can help your conversations to develop onto a much deeper level. Try to allow some structure within your conversations though. Going off on a tangent is fine, just make sure to rein it in, and keep the timing locked in to avoid an apathetic response from your more time constrained listeners. To hear the full conversation with Sean, click here.